Ich kann es kaum erwarten, dass es endlich Frühling wird in Berlin. Solange es jedoch noch kalt draußen ist, kannst du dir die Blumen ja schonmal in Form einer Rosentorte oder einer meiner anderen blumigen Torten aus der neuen Frühjahrskollektion nach Hause holen. I love to play with different patterns and styles . 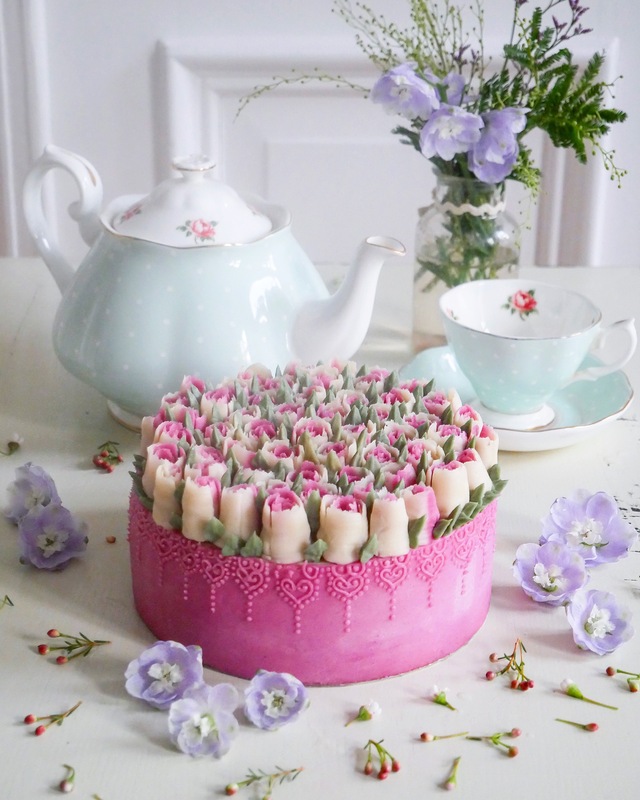 This time I tried a very classic raw vegan cake with brimmed roses …and that is also why I love what I’m doing. It’s always so exciting to try something new, and creativity is limitless! 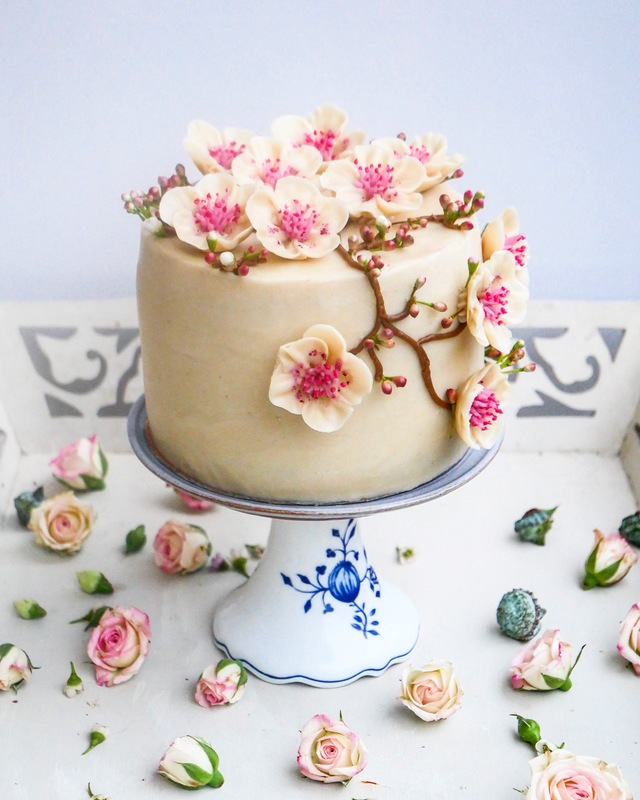 So happy about my new „Feed me roses“ Vanilla & Strawberry cashew creme cake! Beautiful my dear but we need a recipe.